You know that when you will going to run a game or a program/software then will see a message like this “The application was unable to start correctly (0xc00007b). 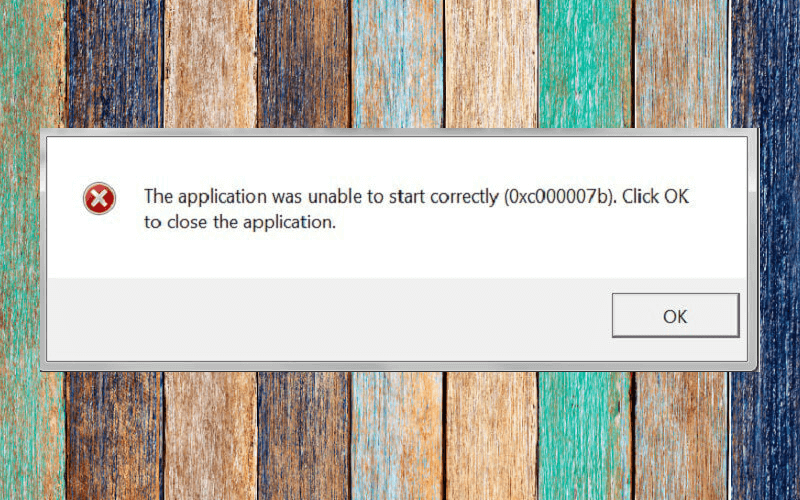 Click OK to close the application.” now the question is why this error was appearing while running a game or a software, we’ve found the solution to fix 0xc00007b error In latest OS of Microsoft Windows 10, this error was appearing because some game and software having the files which are created with C++ language so they are required the C++ compiler to run those files. This is the cause of this error. Therefore we’re going to share an effective and easier way to fix 0xc00007b error in Windows 10. This error is most common in newer games after the year 2012 such as Grand Theft Auto V GTA V, NFS Most Wanted, Watch Dogs, Far Cry 4 and other games and software. This error is most appearing when running the GTA V, so this is the big problem for gaming lovers. we’ve seen the most videos in the YouTube to fix this error but not one of them will work. But finally, we found the solution which works 100% and fixed this error. This error may occur when the Microsoft Visual C++ Redistributable is not properly installed in your PC so firstly download the Microsoft Visual C++ Redistributable 64bit version from here, once you installed the Microsoft Visual C++ Redistributable, now restart your PC then try to open your game or software, if the error still occur then follow the below methods. Download this required the file from here, this is the archive file containing the 5 .dll files. Now extract these files in a folder on your any drive, not the C drive. Then press Win + R keys and type the MSConfig and press Enter. Now click apply and restart your PC. Now Copy the 5 .dll files you’ve downloaded and extracted in your drive. Now Restart Your PC and Run your game or software. If the above is not worked for you then download the All In One Runtime then install it on your PC, this software will be removed and fix all error 0xc00007b and bugs from your Windows 10. This tool will work on Windows 7, 8.1 and 10. If our method helped you so please share this post with your friends on social networking sites. If your game or software still not run or 0xc00007b still occur please write your question in the comment we will help you to run your game or software, keep visiting. Fix GTA 5 the application was unable to start correctly 0xc00007b error in Windows, here's the complete solution to fix 0xc00007b on Windows 7,8.1 & 10. Try update your directX and reinstall Windows 10 and try again and follow the same exact steps in your PC. Thank you for your reply, unfortunatly the link you gave me isn’t reachable. I’ve got an error “403 Forbidden from Ngnix”, probably a user permissions problem. I am very glad to know that my opinion was useful for you. Uninstall Intel Management Engine Interface Driver(IMEI) driver. I have not make any drive for my laptop I have problem in installation of gta 5 I downloaded from ocean of games site it’s 2 files need to download 2 one is gta 5 fix 7,8,8.1. and 1 gta 5 zip size 58.850 Gb . It asking me error 0xc00007b fix. What should do for problem of that….. Please help me still can’t fix this error.